It is without a doubt that we are entering the product-first era. The era in which the quality of your product will be the #1 lever of growth for your business. 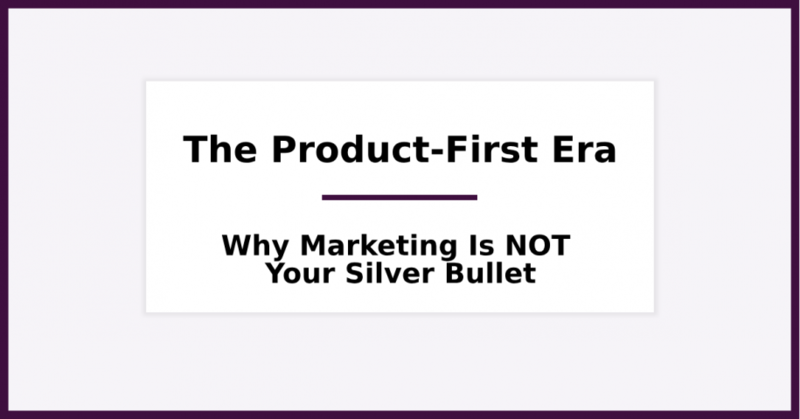 Simply put, bringing a new product to the market won’t be enough anymore. Of course, that doesn’t mean that the best product always wins. But, to survive in the product-first era, you need to have a product-first mindset. Want to know how we got here and how this era will look like? The first marketing efforts started the time of the industrial revolution. Mass production raised the need for mass advertising. Simply put: someone had to buy all these products. These two things were enough to sell since consumers were not as educated they are today. 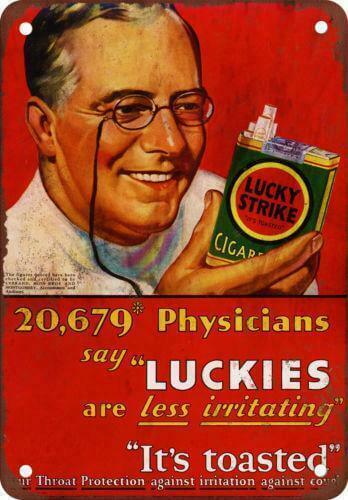 These first marketing and advertising efforts were very successful for one more reason: people were not exposed to the same number of ads as they do today. This means that they were more “open” to advertising messages, and more willing to listen to what companies have to say. Fast forward a couple of decades, companies were still using advertising as a way to reach consumers, and sell to them. Have no doubt about it: the ads of that time were truly ingenious. And, the fact that were successful—in terms of revenue generated—makes them even more appealing. Baby boomers were the generation mainly exposed in the ad messages of that time. What is really interesting, is the fact that most baby boomers—people who were born between 1946 and 1964—feel nostalgic about the ads of that time. Also, there seems to be an emotional attachment between them, and the products of that time. 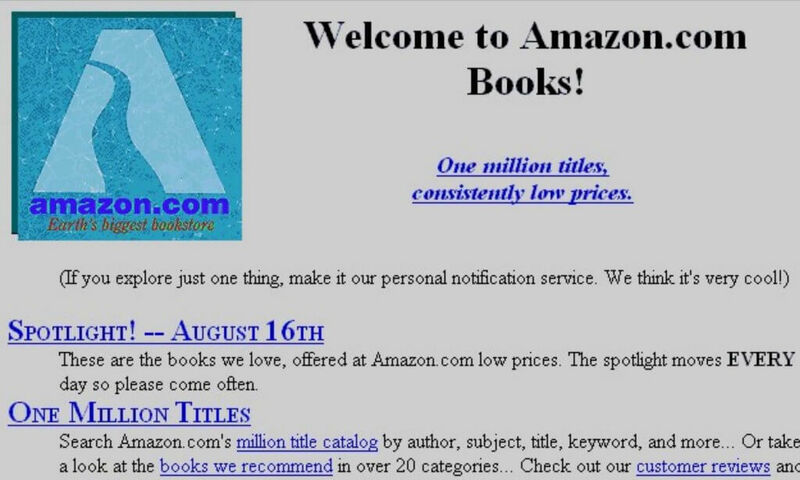 A few years later—in the early 90s—the internet came along and changed everything. A simple tagline was not enough to sell anymore; and, people started searching for products and experiences online. Right around that time, the first traffic acquisition actions started from internet companies. It is without a doubt that the internet revolutionized the way new products were introduced to the market. However, the best product wasn’t always the most successful one. Simply put, marketing and advertising were still influencing consumers’ perception of quality. But, along with the internet came one more thing: over-commercialization. People were—and still are—bombarded by the hundreds advertising and marketing messages they are exposed to daily. 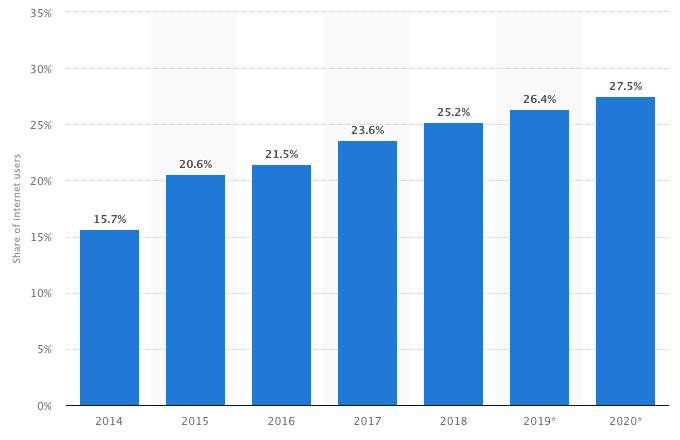 Customer acquisition has become more expensive, and marketing teams have become more aggressive in their effort to attract new customers. Companies are using all these tools and channels to get traction and turn a small percentage of that traction into paying customers. The advertising and marketing landscape has started to change, and marketers have realized one simple thing: that product-first companies are the ones that usually win. Of course, this means that having a better product is essential, but it’s not enough. What are the characteristics of the “product-first era” and why it’s important for businesses? Find out in the next chapter. 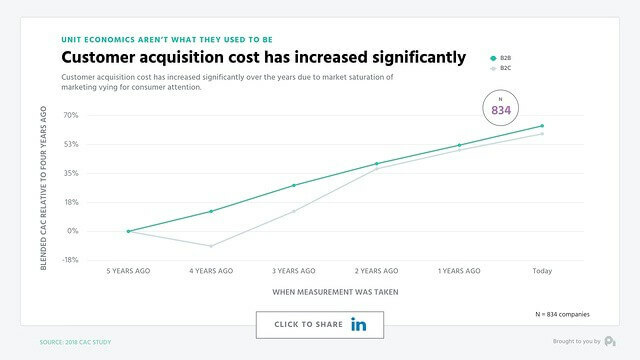 This means that marketing teams are struggling to find ways to acquire new customers, keeping the balance between the Customer Acquisition Cost (CAC), and the Lifetime Value of the Customer (LTV). Also, something significant is that Ad Blocking penetration increased year-after-year. That consumers—potential customers—are less willing to hear what we have to say. The product and NOT marketing should be our primary concern. Product-first companies are the ones that will survive and move forward. The reason is simple: people are tired of smart taglines and nice ads; they want more substance. How did they manage to do it? By focusing on the product, and the value it adds to their users. However, most companies find it difficult to market their new products or to increase their current customer base because their marketing efforts are not effective. There is no doubt that we are heading to a product/service-first era. Be careful though: the best product is not the one that always wins. Having said that, if you have a better product than your competitors, and wait for new customers to come in without any effort whatsoever, then you are in the wrong direction. Marketing will always be necessary, but in the context of a stellar product, and an excellent experience for the users. In the next chapter, I will give you some guidelines on how you can achieve exactly that. Building a product-first company is not easy. When I say “product-first,” I don’t mean that you have to add one feature after another. After all, the fact that a product has many features is not an indicator of a great product. It’s easy to say, but extremely difficult to implement. Adopting a product-first mindset is the first thing you should do. As you can imagine, adopting a product-first mindset is more than just holding a product review meeting every other week or every month. Above all, you should get everyone aligned with your product vision. You should always stress the importance of building something that will actually deliver the value it promises to your customers. This is the only way of building a product-first organization. Start with the product; everything else will follow. Now, you know how we’ve transitioned from traditional marketing strategies to marketing that is focused on the product. 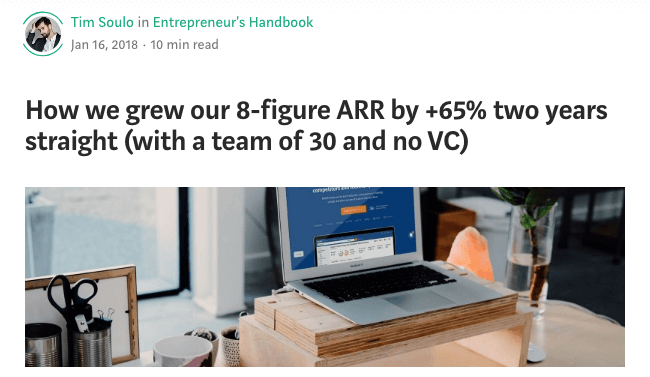 You also have a handful of tips when it comes to building a product-first organization. Forgive me for repeating myself, but if your company is not moving forward, you don’t have a problem with your marketing. Focus on the product and the value it adds to your customers. What are your thoughts on the product-first era? Are you paying enough attention to your product, and how do you communicate that value to your customers and prospects?